From esoteric teachings, we know that time is simply an illusion which is necessary for evolution. There is a Universal Time manifested throughout the Universe, but it is connected with the Periods and has nothing in common with the earthly understanding of time. There is also inner time, characteristic of solar systems, planets, humans, etc. The past, present, and future are the framework within which a human being comprehends the world. Causes create the future, proceeding from the past to the future. The past cannot be changed, while the future is changeable, because other causes may be created in the present which will influence it. The three times exist inseparably in space, so therefore, people with a developed consciousness are able to penetrate in the present time into both the past and the future for millennia to come. If it were not for the intervention of free will, the future, existing in space as a projection of past causes, would be fixed and immovable. But human will introduces its own corrections, which is the reason so many prophecies go unfulfilled. Nevertheless, the Law of Cause and Effect, or Karma, makes the plasticity of the future conditional on the causes which generate it, and determines the framework for the development of events. Today, many people around the world feel as if time has accelerated. For example, the elders at the Athos monastery in Greece have noticed that a night is no longer enough for them to read the prayers they used to read during the same amount of time. Meanwhile, monks in Jerusalem have observed that there always seems to be oil remaining for the lamps in the Holy Sepulcher lately, whereas earlier the same amount of oil was enough for only exactly one year. According to various estimates, despite the fact that days still formally contain 24 hours, a day now actually consists of 16 to 18 hours. Some scientists have attempted to explain this phenomenon by the expansion of the Universe. However, something else is at work here. The thing is that time is directly proportional to the density of matter. That is, the more attenuated matter is and the higher its vibrations, the more blurred the concept of Time becomes. In the Higher Worlds time loses its ordinary meaning, but there is still a sequence of things, events, and perceptions of consciousness. Dreams are one experience of this, when, in a few earthly hours or minutes, one can experience a mass of events in a dream. As many predicted, the planet Earth has been under the influence of energies coming from the Cosmos since 1999. This has resulted in the matter of our physical world and of everyone who populates it gradually and slowly attenuating. Although this is not yet visible to the earthly eye, we can feel it through the fact that time does not pass at the same pace as it did in the 20th century: it has noticeably accelerated. It is interesting to note that one saying of the Prophet Muhammad states that the acceleration of time, when it seems that “a year will be like a month, and a month will be like a week,” is a harbinger of the approaching Last Judgment. Likewise, in the Bible, we find the words of Jesus Christ that the “days shall be shortened” as a sign of His Coming. Zinovia Dushkova, Ph.D., is an award-winning Russian author, poet, philosopher, and historian who has devoted more than 25 years to the acquisition of the secret wisdom underlying all known religions and philosophies. Her spiritual quest has taken her to remote Buddhist monasteries and sacred Abodes hidden within mountains and deserts in Tibet, Nepal, Mongolia, and India. In 1995, she gained admittance to the secret Book of Dzyan and revealed its new excerpt in The Book of Secret Wisdom. 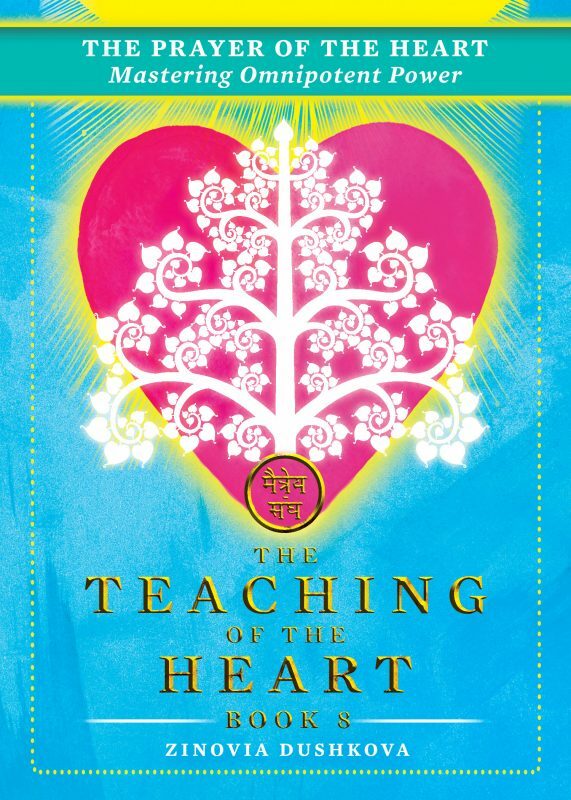 Dr. Dushkova’s major work is The Teaching of the Heart series. For more information, please visit her website at: www.dushkova.com/en.